Checking out Carl Pyper’s 1914 board track racer is like going to a 100th birthday party. You’ve probably never done it before and you may not get another chance. Few people make it to 100 years old and even fewer racing cars ever hit the century mark. The car came out of Muncie, Ind., and Pyper brought it to Evansville, Wis. He is the third owner. A man named Brown built the car before he went off to fight in Germany during World War II. He was injured on the battlefield and never raced the car again. History on the car is sketchy. 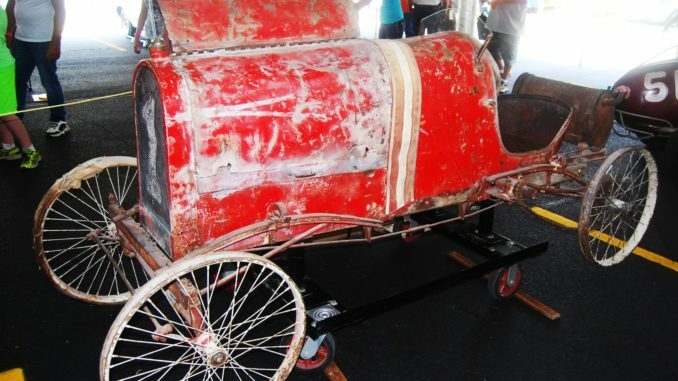 From what Pyper was told, it was raced on 40-45-degree board tracks from 1914 until 1918. It raced at Elgin, at Chicago Speedway in Maywood, Ill., at the Des Moines Speedway in Iowa, at the Altoona Silodome and at a circle track in Nebraska. The little car ran at speeds up to 60 mph, which must have been a little scary. Pyper has an old sepia-toned photo of a dashing young man sitting in the car with “No. 10” on its side. Another photo depicts a race the car was in and the grandstand is stuffed with spectators. There is also a photo of the car racing by itself (maybe it ran away from the rest of the pack). Under the hood is an Indian motorcycle engine. The 61-cid power plant probably came from an Indian made before the car was built. 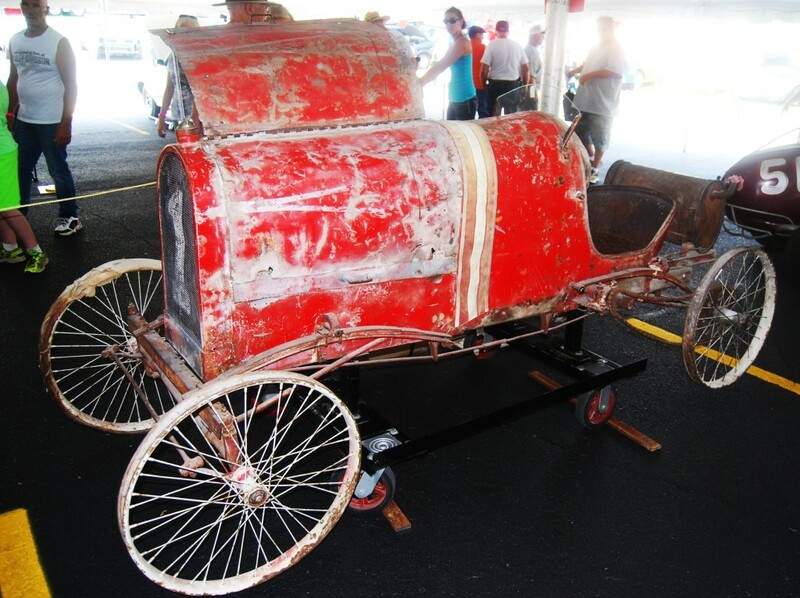 Pyper says the motor mounts were probably set up for an Indian of older vintage than the cart. Pyper hasn’t done much to the car. He made a stand for it and he added a little piece of glass to the windshield. Otherwise he left it alone. “That’s how I like it,” Pyper said. He’ll never completely restore the barn find racer. He likes it just the way it is.